There are many opportunities to complete a no fly vacation to Jamaica. 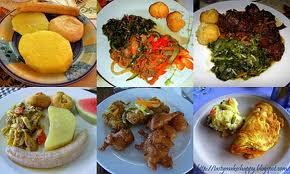 Many people have heard of great vacation itineraries to Jamaica and would love to visit. However, so many people do not want to fly. 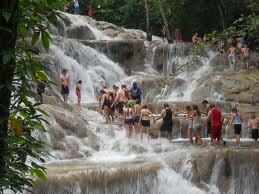 Welcome to our webpage which will show you how to visit Jamaica without flying. 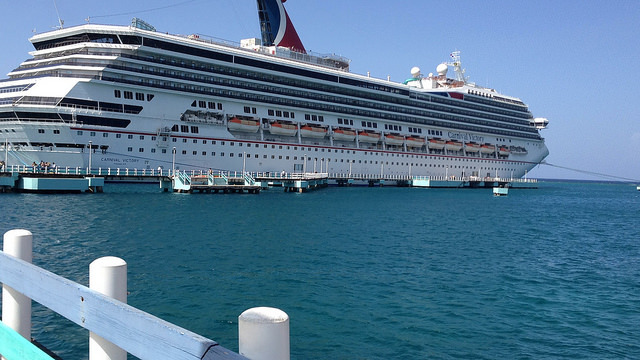 Besides flying, the only other way to visit Jamaica is by cruise ship. Thankfully, so many of the top cruise lines visit this popular tourist destination - Jamaica. You will find cruises with Carnival Cruise Line, Celebrity Cruises, Holland America, Norwegian Cruise Line, Princess Cruises, Royal Caribbean International and others heading to one of three ports of call in Jamaica. These Jamaican cruise terminals are Montego Bay (the second largest city), Ocho Rios (north-centrally located) and the newest terminal at Falmouth in Trelawny (north-westerly like Montego Bay). I have already mentioned the major cruise lines offering no fly vacations to Jamaica. If you want to catch one of these sailings, you have choices in U.S. homeports. As you may imagine, most cruises to Jamaica originate from Florida which is the nearest U.S. state to the island. From Florida, you can book a Jamaican cruise itinerary sailing from Ft. Lauderdale, Miami and in some cases Port Canaveral (near Orlando). In addition to cruise sailings from Florida, you can find itineraries originating out of other ports to Jamaica. New Orleans and Galveston in the south. Note: Cruises from some of these U.S. ports to Jamaica are quite limited. However, if you plan well your family can visit Jamaica without flying. Now that you know that you may visit Jamaica without flying, you need to learn how to get to departure ports to catch a ship. 1. Your best option is to drive. Drive your own car or rent one. Get with a Travel Consultant (we can help) to learn of the nearest U.S. homeport offering a cruise sailing to Jamaica, and one which works for your family. 2. You may consider the train - Amtrak. In most cases, you will find that you can use Amtrak and taxi service to get you from home to a cruise port. 3. My least favorite option is by bus - Greyhound or otherwise. Again, you can use the bus and taxi service to get you onto a cruise ship in all the major U.S. cities. Note: A Travel Consultant is the best person to help you connect the dots. We are here to help you get from a city or town in the United States to Jamaica. Use the form below to send us your information. We will work with you and your family to get to the tropical paradise - Jamaica. You will love all that Jamaica has to offer, and it is great to know that you will get there without flying. Note, however, that cruising to Jamaica allows you only a few hours to see some of the island. Your ship will arrive in the morning and leave by late afternoon/early evening. Big Plus - Each port of call allows you several opportunities to book a shore excursion onboard your ship or otherwise to enjoy a little of the island. You will need to plan another no fly vacation to Jamaica very soon to see more of this beautiful island.